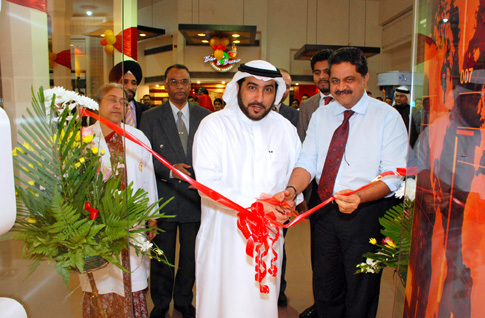 Director of Ajman Medical District, H.E Hamad Obaied Taryam Al Shamsi Inaugurated the First outlet of the ZO&MO Opticals, at GMC Hospital, A Chain of Optical Shops launched by the Thumbay Group. 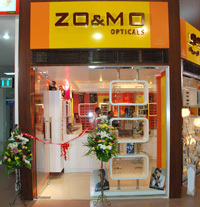 Ajman- February 18-2010:- The Thumbay group launched a new chain of Optical Shops by announcing the opening of its first outlet ZO&MO Opticals, A Chain of Optical Shops at GMC Hospital on 17th February 2010. The opening ceremony was honored by the presence of his H.E Hamad Obaied Taryam Al Shamsi, Director of Ajman Medical District and Director of Sheikh Khalifa Bin Zayed Hospital, along with Mr. Thumbay Moideen, Founder President and Mr. Akbar Moideen, Director of the Thumbay Group. The new entity would bring world class optical services to the UAE, with a range of label frames, lenses, sunglasses, contact lenses and solutions. The second outlet will be open soon in GMC Hospital Fujairah.